Welcome to Majestic Woods! 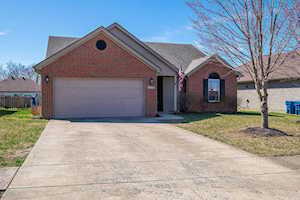 Majestic Woods is an adorable neighborhood located off of Dawkins Road in La Grange. Development of Majestic Woods began in the mid-2000s. Majestic Woods was developed by Jargoe Homes. Typically, you will find homes that range between 1,200 to 2,900 above grade square feet. It is also not uncommon to find homes with walkout basements, just not every home has a basement. Usually, you will find between 3-4 bedrooms and 2 bathrooms in each home in Majestic Woods. Construction types of these homes are commonly brick/veneer and brick/vinyl. There are several styles of homes to choose from in this neighborhood as well. Around half of the homes are two stories and the other half are ranches. 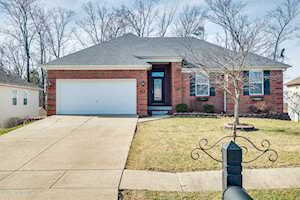 Current homes for sale in Majestic Woods, a subdivision in Oldham County, are listed below. The Hollinden Team updates this search for Majestic Woods homes on a daily basis from the Louisville MLS. 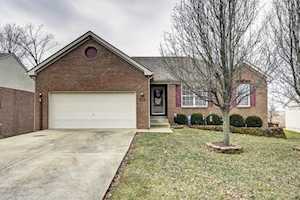 The Hollinden Team has helped many people find their dream home in Oldham County. To find out more about what our past clients say about us, check out The Hollinden Team reviews. Click the map to the left to view each home in Majestic Woods. There is a satellite view button in upper right. Homes in Majestic Woods prices range between $170,000 to $230,000. Majestic Woods is a great neighborhood to live in if you need a more starter home price range but want a nice newer home. You will often find open floor plans, vaulted ceilings, and updated bathrooms and kitchens in Majestic Woods homes. There are several places to shop in LaGrange. For grocery shopping, there are both a Walmart and Kroger in LaGrange. For clothing stores, you can find several in La Grange. Couture Closet, Brazil Curve Kouture, Dizzy Dave’s East, and Elegant Image are a few boutiques you can find in La Grange. For more nationally known stores, visit Oxmoor Mall, Saint Matthews Mall, or The Paddock Shops in Louisville. The Paddock Shops are around 14 miles away from Majestic Woods. Oxmoor Mall and Saint Matthews Mall are around 21 miles away from Majestic Woods. La Grange has several delicious restaurants. Some of the favorite restaurants amongst residents of La Grange are One Nineteen West Main, Red Pepper Deli Café & Catering, Xrailsx Restaurant and Bar, Raw Sushi Bar and Grill, and Gustavo’s Mexican Grill. One Nineteen West Man is a locally owned restaurant known for their big portions. One Nineteen offers a wide array of menu options from Noonbin Reuben Wontons to Kentucky Eggplant Fries. Xrails Restaurant and Bar serves American cuisine and local meat. Raw Sushi Bar and Grill is a local owned and has unique types of sushi. Gustavo’s has an extensive selection of authentic Mexican food. If you get the opportunity to visit Gustavos, try one of the most recommended dishes such as Burrito Supreme, Nachos Supremos, and Tacos de Carne Asada. The home school district for Majestic Woods is Oldham County School District. The following schools are the Majestic Woods’ home schools: LaGrange Elementary School, Oldham County Middle School, and Oldham County High School. Oldham County School District was nominated Kentucky’s District of Distinction in 2012. If you would like to learn more or have any questions about any of these Longwood houses for sale, or others in the zip code 40031, just click the "Request More Information" button on any property detail page. The Hollinden Team can provide you with past sale information, comparables, disclosures, PVA assessment, and tax information – we would love to answer any real estate questions you have.